Soil Remediation? What are my options? First off, don’t fall for the typical scams. 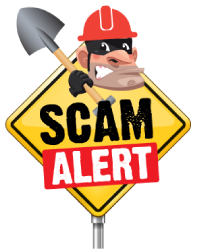 If a company quotes you without taking a soil sample first and sending to a NJDEP (New Jersey Department of Environmental Protection) laboratory, this is the first sign you could be scammed. Find out more, call us at 1-973-320-7300 for a free consultation and we will give you the Terrific advantage along with additional options with our Oil Tank Assurance program. A previously abandoned oil tank filled with water. We will sit down with you and get a history of your property. We will go over your options and spell out to you what the NJDEP states you have to do and what you don’t. Did you know that 75% of oil tank leaks don’t require any soil to be removed? 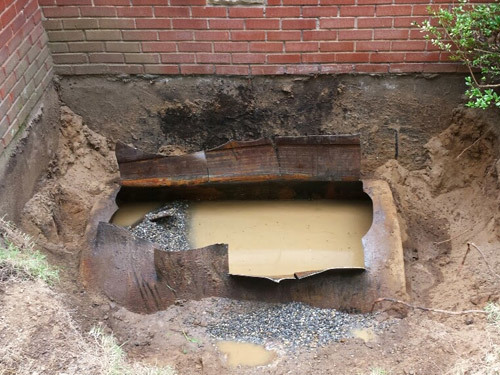 In the event that an oil tank leak has been identified on your property, Terrific Tank Services has a fully qualified staff that will work diligently to execute a comprehensive plan for soil remediation and ground water remediation in a timely, cost-effective manner. The Cleanup Cost on This Oil Tank Was Under $4,000! 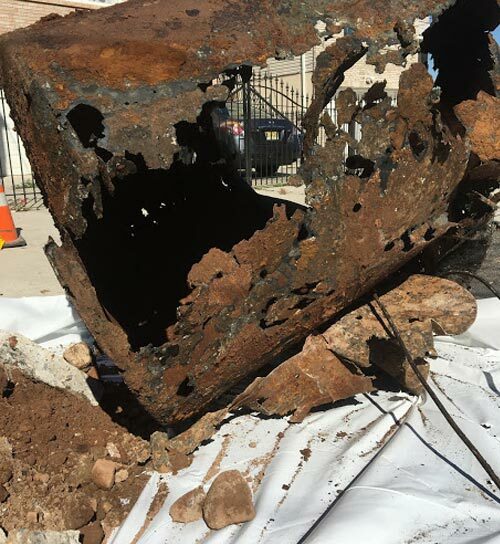 While this oil tank removal was one of the worst we have ever seen, the customer did not have to pay for any soil disposal since the oil was old and only a small amount leaked before the tank completely rusted! We will take preliminary samples. We will explain ALL the options to you. We will explain and go over this with you, all your family members or we will welcome a meeting with you and your team if necessary. Your team may include realtors, attorneys, or even Uncle George who might know a bit about environmental. Most importantly, we will take the time to update you on how you may be able to benefit from the New Jersey Grant Program, (yes, there is a delay, but each year, millions of dollars are being dispersed to residents). We will also assist you in possibly still getting third party coverage from insurance companies. Thousands of people get ripped off each year by environmental companies! First off, don’t sign with any contractor that starts a remediation project without doing at least preliminary soil sampling. The New Jersey Department of Environmental Protection mandates that soil under 5,100 ppm does not need to be removed. The company must be registered with NJ Consumer Affairs and must provide a contract as required by law under the New Jersey Consumer Fraud Act. Make sure before hiring a company, you get a contract as required by law. You will find most companies are breaking the law as soon as they give you a contract and accept your deposit. The contractor must prove that the workers onsite have proper OSHA required training to be on your site. Contractor must prove all workers are paid legally, with proper taxes and Workers’ Compensation insurance. Without transparency and communication, there is no trust. Without trust, there is no business. The soil remediation process always begins with the removal of the source of the contamination. Terrific Tank Services will remove your oil tank in accordance with NJDEP and U.S. EPA regulations. In most cases, Terrific Tank Services will determine the extent of the contamination if there has been an impact to ground water as well as soil. The contaminated soil is then removed from your property and disposed of at a licensed soil disposal facility. 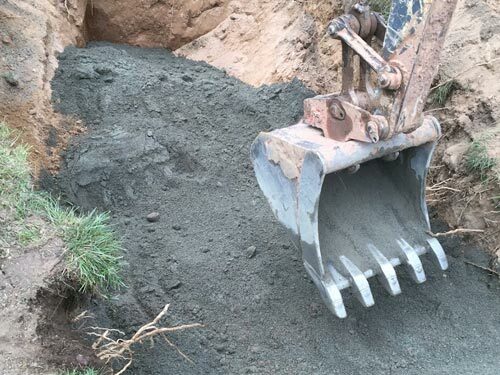 Once all contaminated soils likely have been removed, soil samples are taken from the excavation to confirm the integrity of the soil. Soil samples are sent to a NJDEP certified lab for analysis. The excavation is back filled with certified clean fill up to rough grade. If ground water is encountered during excavation activities, a ground water investigation must be conducted according to NJDEP regulations. Typically, ground water investigations are conducted through the homeowner’s insurance carrier because it is generally considered a third party liability claim. Terrific Tank Services works closely with the insurance company’s consulting firm to determine the ground water quality and steps for remediation when necessary. Upon completion of all site remediation projects, a full Remedial Action Report will be prepared for submission to the NJDEP. Once accepted, the NJDEP will issue a No Further Action (NFA) for your property. Terrific Tank Services will work closely with you and the NJDEP to facilitate the completion of your project to the point of No Further Action.